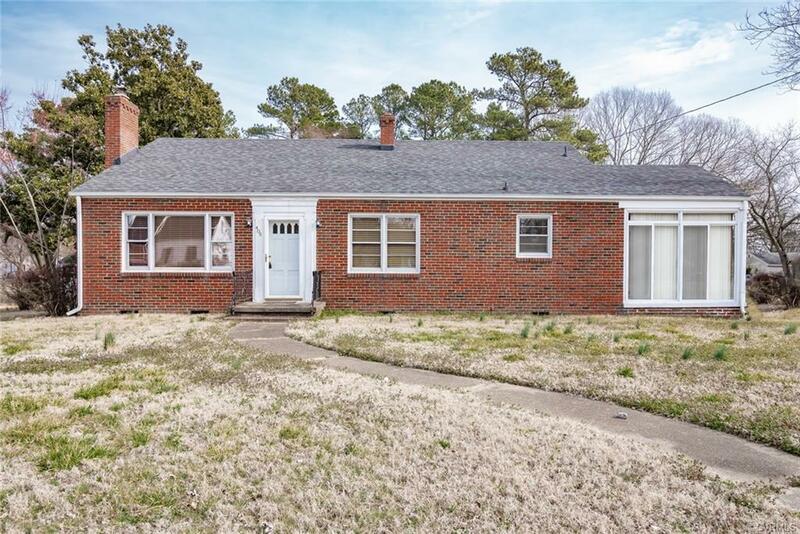 Adorable brick ranch situated on a large lot with a fenced in back yard. This home features tons of space with hardwood floors throughout. The cozy living room has a brick gas fireplace that opens up into a formal dining room. The over sized kitchen offers an eat-in area with tons of cabinet space and leads out onto an enclosed sun room, perfect for an additional sitting room. All bedroom are spacious and offer great closet space and share a hall bath. This home is move-in ready, freshly painted, and equipped with all appliances. Roof is approx. 4 years old. Directions: Danville To Jefferson Ave. Home On The Left.